Did you catch my last blog post all about how to cook haggis? I do adore haggis but when I first heard about haggis truffles, I thought “say WHAT?” That’s just crazy! Of course, being an foodie adventurer I just had to taste them! Haggis Truffles are the brain-child of Edinburgh chocolatier Nadia Ellingham, founder of Thinking Chocolate. This is what Nadia does all day, every day – thinks about chocolate – coming up with intriguing new flavours all the time. But haggis? In a truffle? Is that just a step too far? 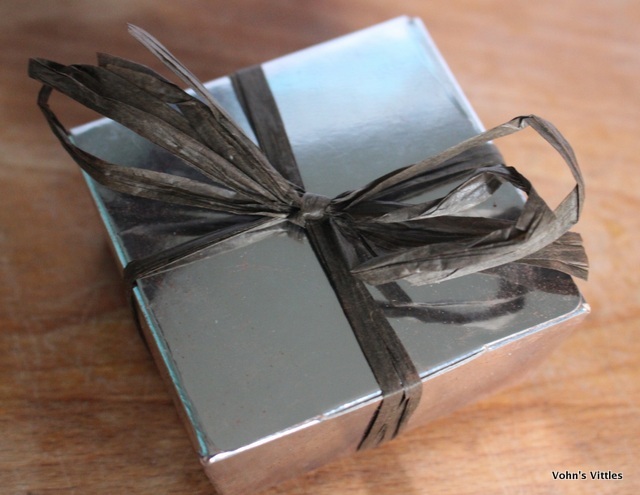 I was delighted when Nadia offered to send me a sample box to try this unusual little morsel, and really excited when my haggis truffles arrived in their cute little shiny box. 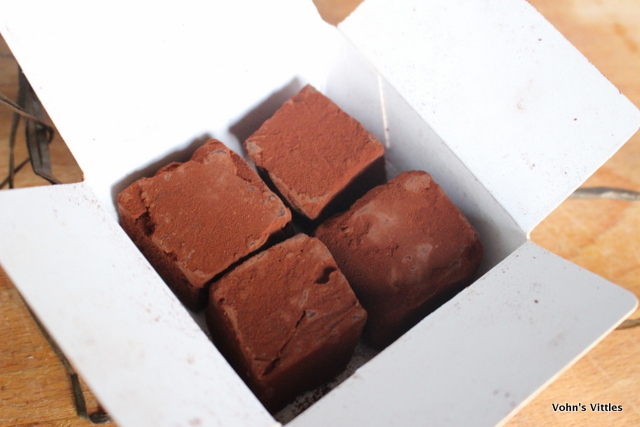 The truffles are a decent size and are covered in fine cocoa powder. 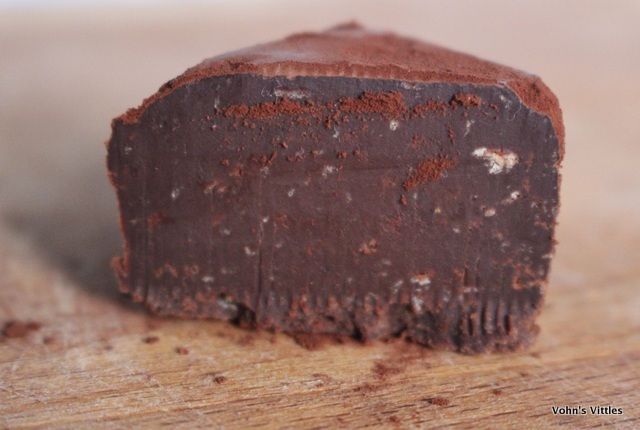 Inside is a smooth, creamy dark chocolate ganache enlivened with the occasional crunch of oats. 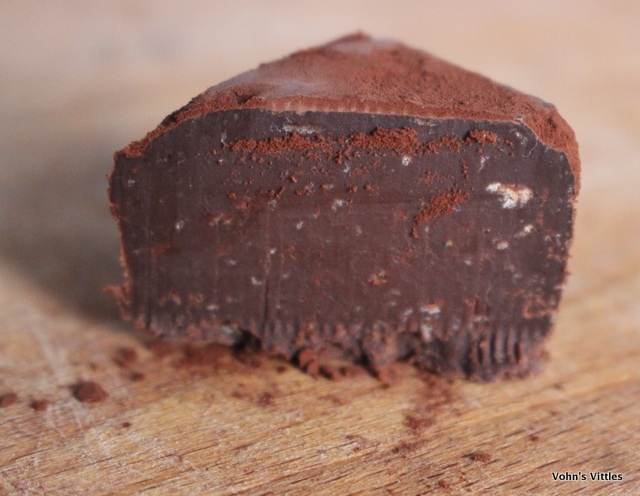 The flavour is initially rich in chocolate then in comes the subtle spicing, which builds and grows on the palate, before finishing in a cocoa hit. The spicing is lovely – reminiscent of haggis – and leaving a gentle spicy aftertaste which remains on the palate for some time. 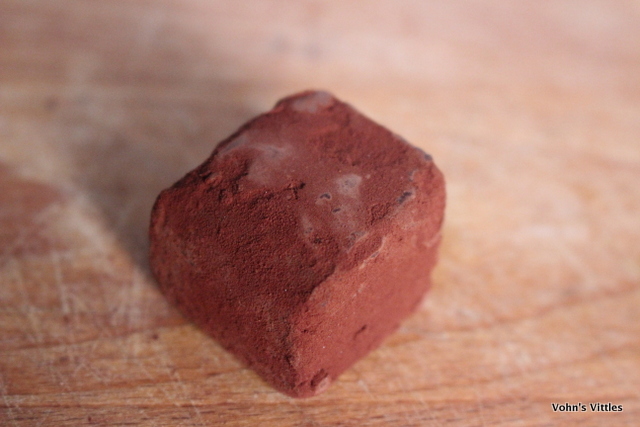 The ingredients are all you would expect in an artisan chocolate truffle – dark chocolate, cream, glucose and spices. 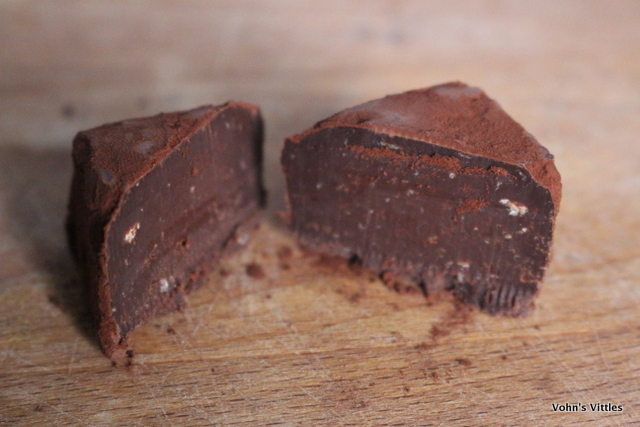 No haggis was harmed in the making of these truffles! Rather the haggis-flavour comes from the inclusion of nutmeg, mace, black pepper and oatmeal. It is a genius idea and really does taste like haggis. These unusual but delicious haggis truffles would be a lovely gift to post to friends who are nervous of haggis. I have a vegetarian friend in mind who loves haggis from her meat-eating days and just can’t tolerate the numerous newly-invented vegetarian offerings. Or perhaps you’ll buy them for yourself as a fabulous way to complete your own Burns Supper! Get your order in today if you want to enjoy these Haggis Truffles on Burns Night! Nadia also sells many other interesting flavours of chocolate, not to mention cakes and other goodies. You can even learn how to make your own chocolate in her small classes and events! Legalese: Thinking Chocolate sent me a sample box of Haggis Truffles for review purposes. As always all opinions are my own and I was not told what to write.